The GNU General Public License applies to this project. See the file COPYING for details. 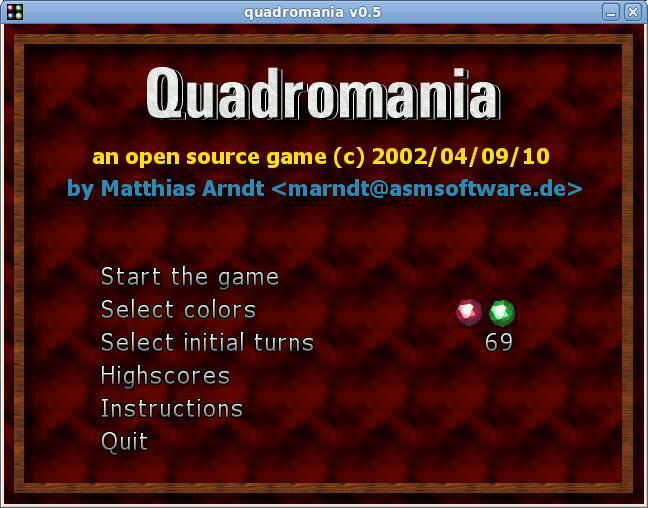 Quadromania is a board game. A board of coloured tiles is mixed up by the computer and the player’s task is to restore the original board. The game is work in progress and not finished. Unless all points in the TODO file are fixed, there is no end of the project. The player’s task is to restore all stones on the game board to red. Game difficulty is controlled by selecting the amount of colours to be used on the game board and a game level. The level is indicated by the amount of initial rotations. The computer will rotate at game start a named amount of 3×3 tile sets and will flip their colours in the selected range. A red tile becomes green and so on. The last possible colour will turn red again. In game click on the center point of a 3×3 tile set to exchange the tiles back in the given order. Restore the board with a limited amount of turns. You loose the game if you need more turns than the computer at start. If you need less turns than the computer you score for the difference. The score is larger if fewer turns are needed so try clearing the board with the fewest number of turns. 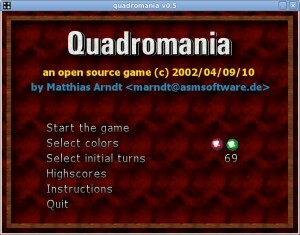 To build Quadromania from the sources, a configuration for CMake in form of a CMakeLists.txt file is provided. CMake in turn can generate Makefiles or an environment for your favourite IDE to compile and build the game. For now, the game requires SDL_mixer but the hard requirement will be removed for that in future, making sound and musics optional. In all cases, consult the README and the README for your particular port! On the GP2X Wiz the display will tear if you forget to use the patched libSDL. 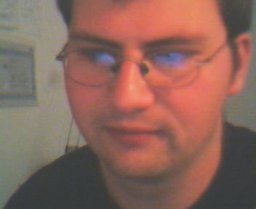 Simply put the patched libSDL.so into game/quadromania/ and the tearing should be fixed. The Dingoo version requires some mosue emulator to be installed.